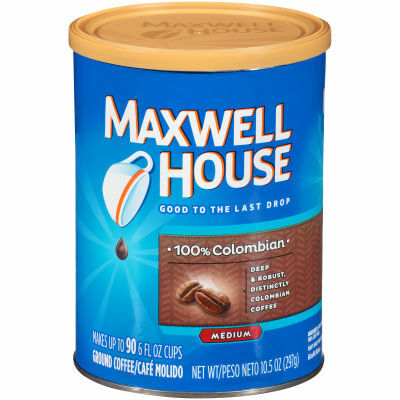 Maxwell House Colombian Ground Coffee - Made from 100% Columbian beans, our Maxwell House coffee is deliciously rich, enticing and perfectly balanced. It creates a mouth-watering aroma and fabulous flavor. - Dark and Robust Flavor - Start your day with the deeply satisfying taste of 100% Colombian coffee. Its dark, robust flavor makes this medium-bodied coffee morning perfect. A canister keeps it fresh and aromatic so a great cup of coffee is always within your reach.